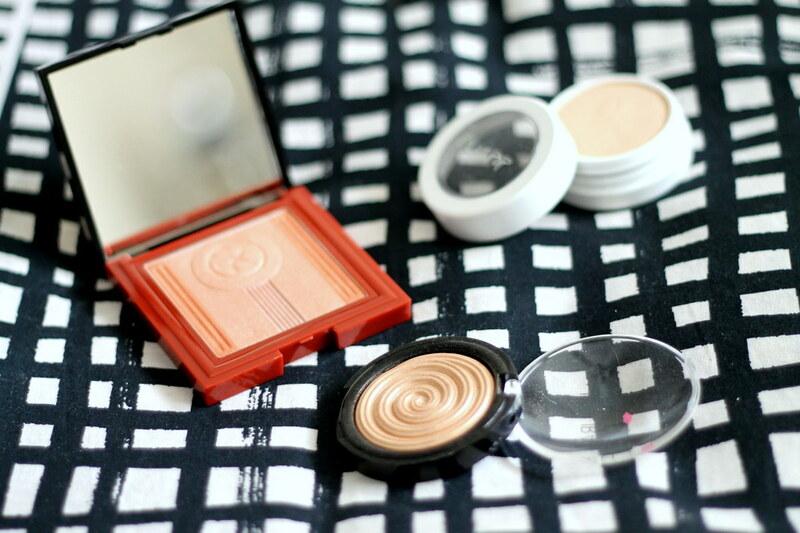 With summer unofficially here, it’s time to get our glow on! As per usual every warm-weather season, dewey skin and golden radiance are in. I tend to gravitate toward cooler tones, but this summer I’m branching out and trying gold, warm hues—especially when it comes to highlighter. I’ve found three highlighters that fit the summer bill perfectly. Laura Geller’s Baked Gelato Swirl Illuminator in Gilded Honey is serious gold for your skin. It packs quite a punch, and a little goes a long way with this highlighter. It’s quite pigmented and very gold, perfect for an afternoon at the beach to give you a sun-kissed glow. Sonia Kashuk’s Sahara Sunset Highlighter in Arabian Dreams is showstopping. If you’re fair as I am, it’s more of a blush topper than a true highlighter, but if you’re tan or dark-skinned, you’ll want to use this on the top of your cheekbones for a serious glow. ColourPop’s Lunch Money is the most natural of the three. It’s a softer gold, almost champagne hue. If you haven’t tried a ColourPop highlighter, this one is the one to get; just be sure to apply it with your fingers for the best result.